Click here to start planning your adventure. Please note: Prices valid until September 30, 2010. Book early and save. Some of you might remember the Gran Paradiso Trek from years past. This new tour follows a different itinerary through an equally, if not more, spectacular region of northwestern Italy. 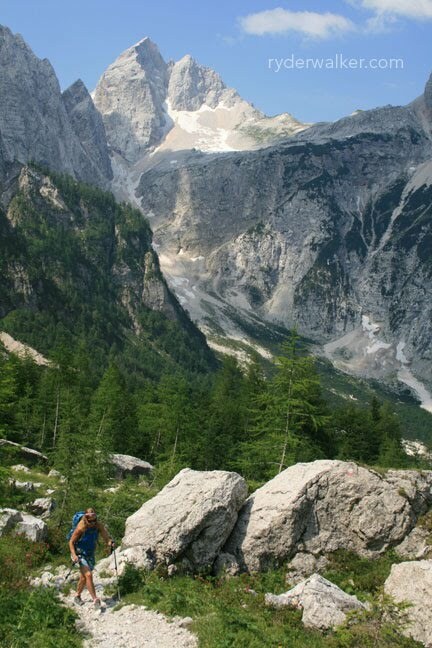 Image: The mighty Jalovec, emblem peak of the Solvenian Alpine Club, crowns the Julian Alps of Slovenia. Many people call this mountain the “Matterhorn of Slovenia.” The Jalovec is also referred to as the “Crystal Mountain.”By Ken Fuhrer.